LA NOUVELLE ETOILE spends the last 5 weeks of the season, in September and October, cruising between Germany and Luxembourg. 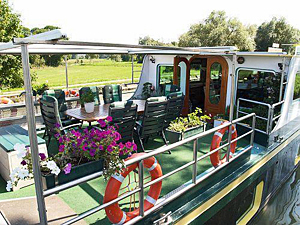 This ultra deluxe barge is pure floating elegance as she cruises along the picturesque and peaceful Moselle River. 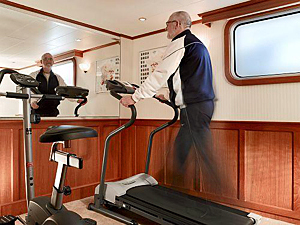 The barge itself is the new standard in barging with every luxurious amenity possible. Yes, there is Satellite TV and internet access for those who want to stay in touch. 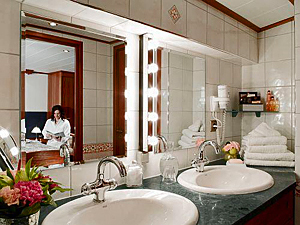 For an exquisite experience with the most caring of owners, La Nouvelle Etoile is one of the best. 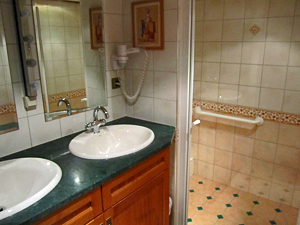 You are met at a designated meeting point in Frankfurt and transferred to the hotel barge moored in the heart of Koblenz for a champagne welcome. There will be a late afternoon cruise to Winningen, one of the oldest and largest wine growing villages in the area, where we will moor and you will experience the first of many gourmet meals on board. A morning cruise guides us through the lowest part of the Moselle River up to the charming town of Cochem. After lunch, we drive to the castle of Burg Eltz (Eltz Castle), also called the “Queen of the German Castles” as it is one of the few that were not destroyed by the French King Louis XIV in 1689. A guided tour takes us through this fascinating 12th century castle. We return to La Nouvelle in Cochem in time to stroll through this delightful little village. Dinner on board. 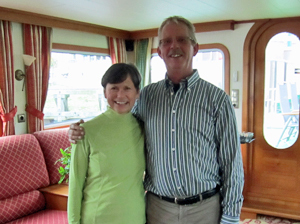 After breakfast, we will take a leisurely cruise past numerous vineyards in beautiful scenery to Zell. This is one of the most beautiful towns on the Mosel and is famous for its wines. Visit the cellars of Dr Josef Weiss, just outside of town for our first wine tasting. Dinner on board. Cruising up this very picturesque part of the Moselle, we reach Bernkastel, another famous wine village. Here you will find the “crème de la crème” of Moselle wines. In the afternoon, visit the private cellars of Pauli Bergweiler for a sampling of his superb wines. Finish our day with a stroll around the village of Bernkastel before dinner on board. This morning we will cruise to the oldest town in Germany, Trier. Trier will take you back to the old Roman times from hundreds of years before Christ. Visit the Porta Nigra, part of the old town wall and the magnificent St. Peters Cathedral, or stroll the old town to shop or browse. Dinner on board. This morning, we will cruise our last part on the Moselle - into Luxembourg - to the small village of Remich. In the afternoon, there will be time to visit the nearby capital of Luxembourg. Tonight is the Captain's Farewell Dinner on board. After your last elegant breakfast on board, you will be driven to a designated drop-off point in Frankfurt. 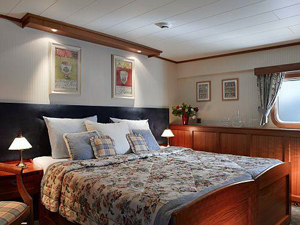 "La Nouvelle Etoile exceeded our expectations with the cabins being larger than expected. The excursions were just right, not too rushed or touristy. The barge route was gorgeous and amazing. Best of all was the crew - seriously! We could have stayed much longer." Eric S.